This article is about the protest in 1976. For the protest in 1989, see Tiananmen Square protests of 1989. The death of Chinese Premier Zhou Enlai on 8 January 1976, prompted the protest. Zhou Enlai was a widely respected senior Chinese leader. For several years before his death, he was involved in a political power struggle with other senior leaders in the Politburo of the Communist Party of China. Premier Zhou's most visible and powerful antagonists were the four senior members who came to be called the Gang of Four. The leader of the clique, Jiang Qing, was married to Communist Party Chairman Mao Zedong. 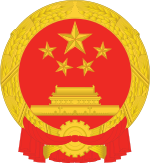 To defuse an expected popular outpouring of sentiment at Zhou's death, the Communist Party of China limited the period of public mourning; for example, the national flag was lowered to half-mast for only one hour. China's leaders, namely Jiang Qing (Mao Zedong's wife) and Mao Yuanxin, saw the popular gathering as a threat to the forward movement of the Cultural Revolution. They consulted with Party Chairman Mao Zedong, claiming these people to be "capitalist roaders" who were hitting back at the Proletarian Revolution. Action was taken on the night of 5 April, when the number of mourners were a few thousand. Controlled by Jiang Qing and the mayor of Beijing, the militia encircled the area, then went in with clubs and batons to drive the people away from the monument. Four thousand were arrested. The media subsequently linked the event to Deng Xiaoping, then carrying out the daily duties of the Premier. It was rumored that the Gang of Four had become apprehensive of Deng's influence and thus attempted his removal. Deng was an ally of Ye Jianyin, and was placed under house arrest in Guangzhou. After Mao's death and the fall of the Gang of Four in October 1976, Party leaders rehabilitated Deng and brought him back to Beijing, where he emerged as China's Paramount Leader in 1978. Teiwes, Frederick C. and Warren Sun, "The First Tiananmen Incident Revisited: Elite Politics and Crisis Management at the End of the Maoist Era," Pacific Affairs Vol:77 Issue:2 (2004) pp. 211–235. Cheater, A. P., "Death ritual as political trickster in the People’s Republic of China," The China Journal Vol:26 (1991) pp. 67–97.